The software allows you to convert AOL PFC file to MSG file format. For each AOL email, one MSG file is created and MSG file is supported by Microsoft Outlook email client. AOL PFC File to MSG converter software exports emails and other items in MSG, file formats. With the help of the software, users can access AOL emails in your generally used email client. You can apply email filtration before conversion according to date. For this, the user just needs to select date range like: From 12/12/2014 To 12/12/2015. 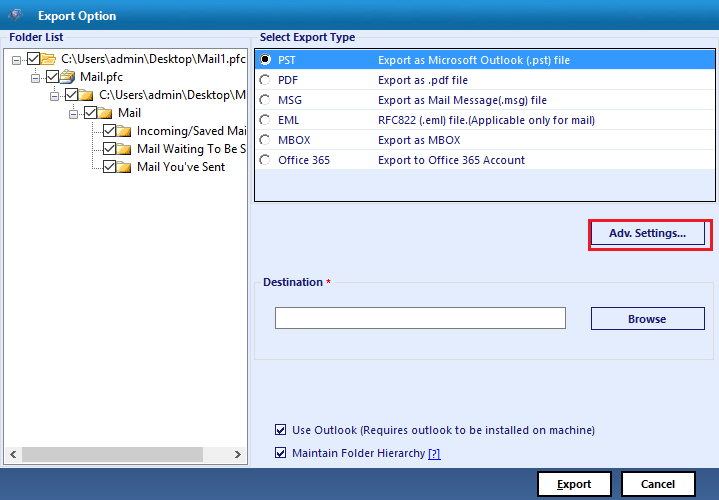 PFC to MSG Converter software also provides facility to export only those emails which the user wants to convert. For this you just need to select one or more emails one by one from preview pane and then proceed to export. This conversion tool also provides the facility to convert more than one PFC file at once. For this you just need to select all the PFC files one by one to the software. The software provides the facility to change output file name according to your selected naming convention formats. Name can be changed according to date, subject, date and subject, and auto increment of number. AOL PFC to MSG Converter software is fully compatible with all versions of Windows Operating System. Supported versions are Windows 10/8.1/8/7/Vista/XP/2000. PFC files store AOL emails and other items locally on your computer for providing the facility to access emails in offline mode. AOL Desktop software creates PFC file to store emails from AOL server to local computer and allows you to work with emails and make changes when you are offline. The next time whenever PC is connected to internet, all the changes are synchronized on AOL Server. Hence, these attractive features make AOL PFC File to MSG Converter an efficient and qualitative conversion tool. Can I convert all PFC file at once? Yes, You can convert all PFC file at Once. You just have to select PFC file one by one to the software and then you can export all at once or separately. Does this tool require installation of any software for conversion like: AOL Desktop and Microsoft Outlook? Does this tool also convert AOL PFC in any other file formats other than MSG? As this software allows me to convert selected emails and for each email there will be one MSG file. Does this tool convert email text with attachments from AOL PFC to MSG? Yes, the software will surely convert each email with attachments to MSG file. I was looking for a tool like this since a long time and finally I got this. It really helped me to convert important AOL emails to MSG. I have used four different tools for conversion but when someone will ask me for the best then I will recommend this tool to convert AOL PFC to MSG format. 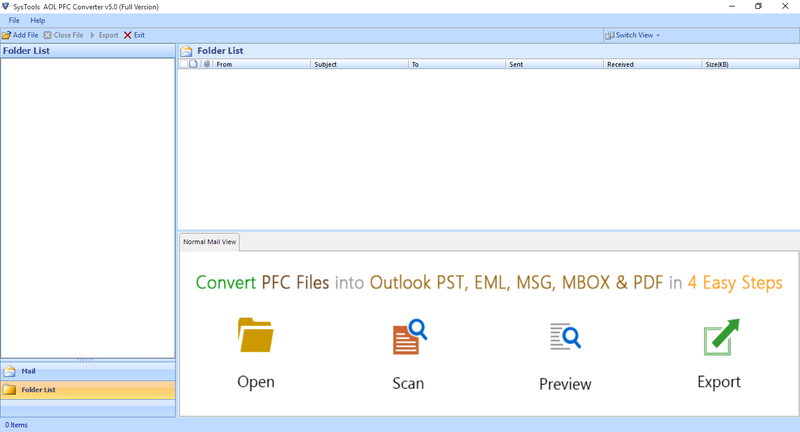 This conversion tool is good and helped me to convert AOL emails to be accessible in Outlook as well as in Apple Mail.